With Readly you can read Fresh Style and thousands of other magazines on your tablet and smartphone. Get access to all with just one subscription. New releases and back issues – all included. 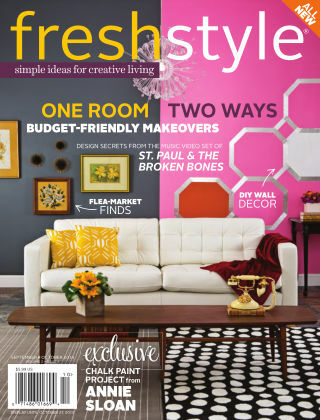 Fresh Style is a new magazine that celebrates creative living—exploring possibilities and looking past the surface of things to discover hidden potential. 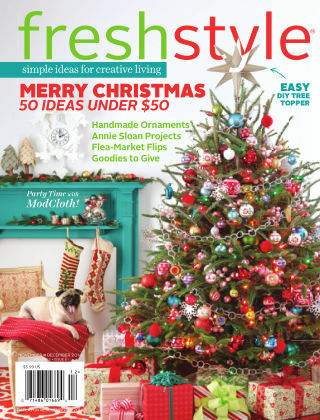 Inside the issue, you’ll find quick and easy projects, tips from design experts, spotlights on creative bloggers and Etsy artists, and tons of ideas on how to recycle, repurpose, and fill your space with personalized décor. From handmade jewelry and kid-friendly crafts to home accents and garden delights, this colorful collection will become your go-to guide for DIY style.